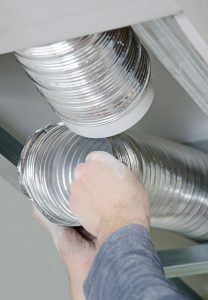 AC companies in Central Florida are a dime a dozen, but for top-quality AC repair, maintenance and installations, more and more Florida residents rely on Caldeco Air Conditioning & Heating. We are the Hometown Expert, and our team of professional and courteous technicians can expertly install or repair nearly any make or model. At Caldeco Air Conditioning & Heating, we strive to provide superior customer service and best-in-class workmanship on every service call. Our team will always arrive on time and be prepared to complete your service as quickly and efficiently as possible. After all, your AC is one of your most important appliances when you live in this Florida heat, and we do what it takes to get your system back up and running at optimal levels as quickly as we can. Caldeco Air Conditioning & Heating is also one of the few AC companies in the communities we serve to offer scheduled AC maintenance programs. It is vital to properly maintain your AC system, especially when it’s working overtime during those scorching summer months. That’s why we have developed a variety of programs to suit nearly any maintenance need. Some of our programs are full-service, which means you don’t even have to remember to call us to schedule your appointments. We’ll call you! Click here to learn more! If you are on the hunt for top-rated AC companies in Westchase, Clearwater, Brandon, Trinity, Land O’ Lakes or the neighboring cities, look no further. Contact Caldeco Air Conditioning & Heating today to schedule an AC maintenance or repair service call or request more information about new AC system installations. We look forward to serving you!